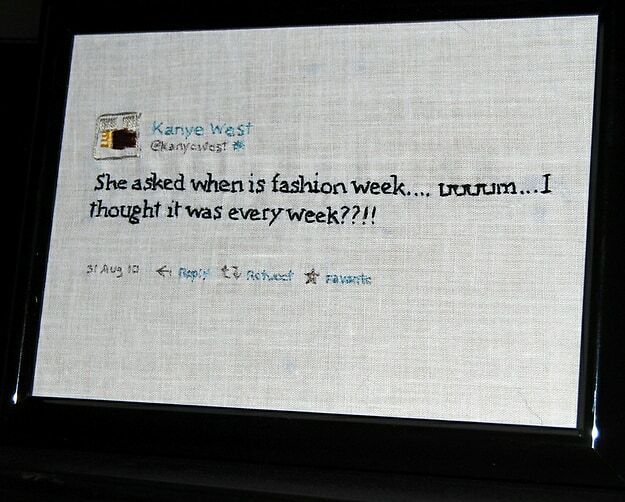 Who hasn't laughed at one of Kanye's tweets? They are crazy, ridiculous, and sometimes (albeit rarely) true. We laugh at the funny things he says, and perhaps cringe at others. Regardless of whether or not you agree with his statements, you cannot deny that the man has said some funny things. 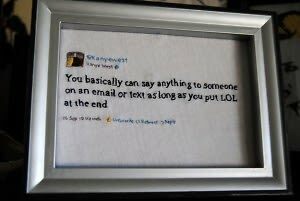 Now, on Etsy, you can get Kanye West's craziest tweets hand-stitched and framed. His tweets will forever be imprinted for us to laugh, or perhaps shake our heads in dismay at. 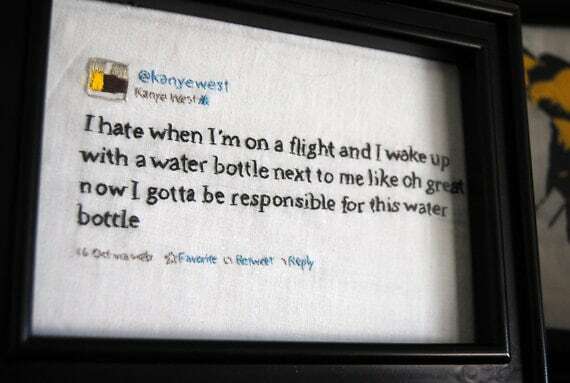 For more of his one-liners, check out Kanye's twitter HERE, and buy the pillows HERE!